The ongoing crisis rocking Obafemi Awolowo University is assuming a more frightening dimension. 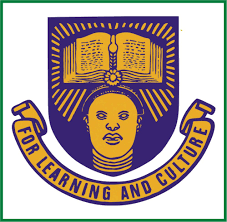 Some members of the striking unions, the Non-Academic Staff of University (NASU) and the Senior Staff Association of Nigeria Universities (SSANU), OAU branch, have said that they are not only getting tired of the hard-line stance of their leaders on the strike, but have also turned to begging as a means of survival. The two unions about a month ago embarked on strike to protest what they claimed was the non-adherence of the dissolved Governing Council of the university to the guideline on the appointment of the new Vice-Chancellor, Prof. Ayobami Salami. They have taken the matter to the High Court at Osogbo, Osun State. As of now the case has been adjourned to October to enable the judges observe their annual vacation. However, not satisfied with the seeming delay of the case, the leadership of the unions decided to make the school ungovernable, blocking the administrative building day and night. In response, the Federal Government dissolved the Governing Council. This reporter observed that at the various car parks on the campus some persons who said they were non-teaching staffs in the university were reaching out to car owners for money to feed and transport themselves home. They claimed that the ongoing strike had made it difficult for their salaries to be processed. Some of them who spoke under the condition of anonymity revealed that many of the members of the unions were now effectively being affected by the standstill and had begun to feel the pains financially. A lecturer in the university also lent credence to the solicitation of money by some members of the unions. He wondered why the workers were subjecting themselves to suffering in the name of protesting an issue that did not even concern them. “That’s cutting one’s nose to spite one’s face,” he reasoned. When contacted, one of the unions’ leaders said they were not ready to speak to the press on the strike, noting that the case was already in court.